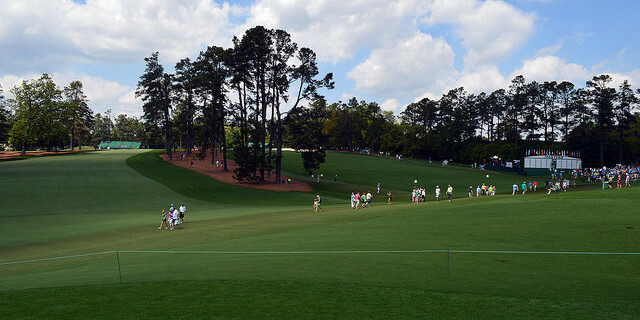 Earlier this year, it was revealed that Sky Sports' deal to showcase all four days of the Masters Tournament had ended without a renewal being immediately apparent. This was particularly embarrassing for the network as the news broke following the unveiling of its dedicated Golf Channel, and the sudden loss of the US PGA Championship from its grasp, which was subsequently covered by the BBC back in the summer through a hastily brought together production. However, months down the line, it has been reported by Ewan Murray of The Guardian that Sky is on the verge of agreeing a new contract with Augusta National officials, which should see the first major of the men's calendar restored to the screens of subscribers. Talks had been initiated with BT Sport - who have snatched Champions League and much Premier League coverage from Sky in recent years - but those negotiations appear to have not meaningfully progressed. The BBC had already secured an agreement to show highlights and the final two days live, but we can expect Sky to have the four main rounds and comprehensive build-up in the week leading to the iconic event in April. Questions do remain about the future of the PGA Championship's broadcasting home in the British Isles, which is set to switch from its present August date to May in 2019, completely revamping the outlook of the main tour season. Sky is yet to make a significant move in restoring the less culturally prestigious major - won this year by Justin Thomas - but that may become an objective when their presence down Magnolia Lane is confirmed for next spring. With the media landscape amid extraordinary upheaval, beginning with the likes of Netflix and Amazon, and now continuing through the gargantuan pockets of Google and Facebook, the future of conventional broadcasting networks is an uncertain one. But for now, especially within the relatively conservative marketplace that golf inhabits, the major championships are set to retain their long-standing tenancy in those more established properties.